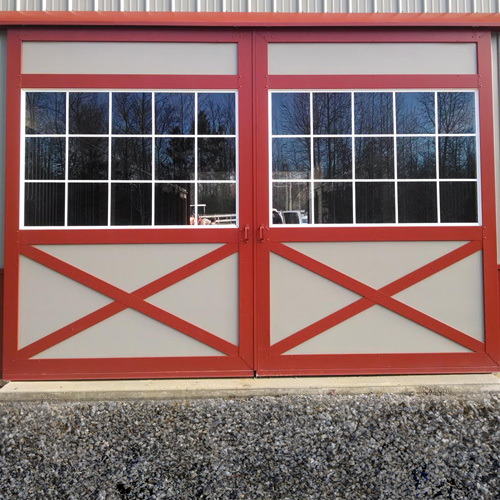 Our glass paneled bale doors are a great way to add sunlight into your barn! Each bale door is manufactured with Galvanneal steel and 3/16" double-pane tempered glass with grids. Fully assembled beside the jamb, hinges, and latches. Our glass paneled bale doors are a great way to add sunlight into your barn. They come in two standard sizes, but can also be built to your specific needs. 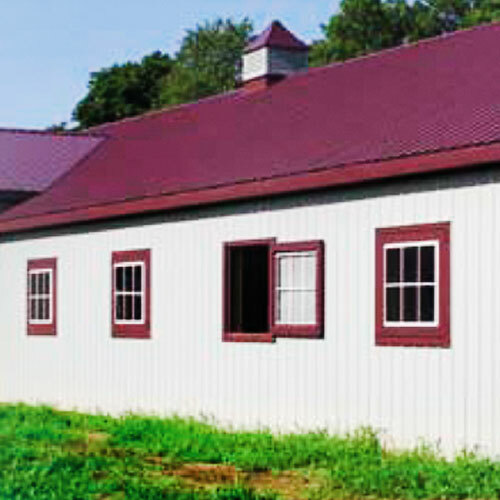 They are available in many different powder-coat colors to match your existing barn or barn doors. Each bale door is manufactured with Galvanneal steel and 3/16" double-pane tempered glass with grids. They arrive fully assembled beside the jamb, hinges, and latches. - We love our Bale windows. I'm really glad I decided to get the window because there's so much more natural light in the barn.